Having a custom home means you don’t have to settle for someone else’s poor design choices and the knowledge of a future remodeling project. When you want the perfect home, building your own with the help of a custom builder like Cedar Square Homes is the ideal option. Having a custom home means you don’t have to settle for someone else’s poor design choices and the knowledge of a future remodeling project. Instead, you’ll have a perfect design for your building that you can move into without the hassle of renovations. 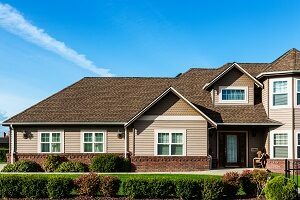 Some people worry that building from scratch will mean significant troubles, but when you work with a reputable company and follow these steps, you’ll soon be in your new home. One of the first steps you must take when planning your custom home is to make a comprehensive list of what you want and how you want it. This includes space and style as well as materials, locations, and configurations. Once you have a clear and finite idea of what you want it’s time to start planning your budget and finally creating a home initiation agreement. While in the first step you created your lists and vision boards for what you wanted, the next step is to work with architects and designers to make those concepts into an actual, livable home. These qualified professionals will help you navigate materials, colors, and the logistics of designs to be sure that your new home matches your dream while being safe, up to code, and functional. As this stage goes on you will likely spend time adjusting and developing your budget to see if there are areas in which you need to increase, decrease and compromise to fit your wallet. Not only do these steps ensure the final product is what you want, but it prevents miscommunication and later surprises. Once this design phase is final, you’ll create a building agreement that helps you establish a final cost for your finished home. Once done, you’ll make final color choices with the interior designers, and work with permit specialists to ensure all of the legal matters are cared for. With the design finalized and everything set, it’s time to break ground and start your build. Depending on the size and complexity of your home the building process can take anywhere from five to nine months. During the build, you will likely receive updated from the construction team and designers, but you may also want to visit regularly to watch as your dream becomes a reality before your very eyes.